Logitech has been the market spanner – with headphones in the dirt cheap segment as well as the premium luxury end of the segment. Its gaming headphones as well as over ear headphones are the talk of the day, but the company also wants to make the best in ear headphones in the world. Enter the Logitech Ultimate Ears 700 headphones, one of the pricier kids on the block with a whole lot of oomph where stylish design and sound quality are concerned. 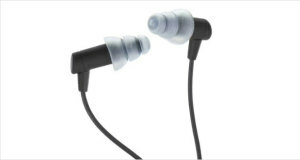 These are extremely small and extremely stealthy earphones that are also one of the best noise cancelling headphones available thanks to the excellent ergonomic acoustic seal that is made when one of the Comply tips are inserted into your ears. Sound quality wise, these are one of the more fuller-range earphones we have had. The highs are sparkly, bright and extremely crisp to listen to while the midrange frequency response is transparent and enveloping with a particular emphasis on acoustic sounds. The bass is deep and resonant with the quality of a deep-throated roar of a car engine. These are premier headphones for the current asking price and you would be hard pressed to find a better pair of stealth IEMs in the market. 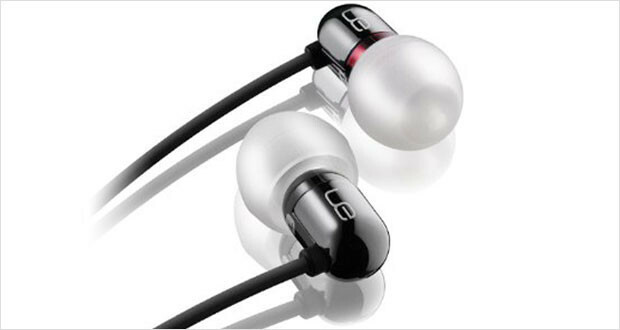 The Logitech Ultimate Ears 700 headphones are extremely tiny IEMs locked inside a pair of shiny silver housings. The red nozzle indicates which ear it is for (the right in this case) and the tangle free cable is quite adequately thick to ensure that it does not fray from the middle. Dimensions4 x 6.1 x 1.7"
While the overall build quality and construction aesthetics are quite great, the cable joints are not very sturdy and there is considerable amount of cable stress that may end up spoiling the headphones completely. The provided modest fit kit ensures that there is quite a good acoustic seal. 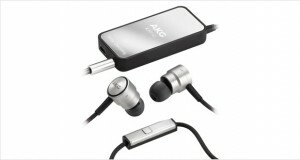 The earphones themselves are small and lightweight so they do not put any undue stress on your ears. Sparkly and brilliant treble sounds that will take your breath away. Detailed and transparent midrange frequencies that complement the treble sounds very well. The bass notes are neutral without being flat and are thus very tasteful. 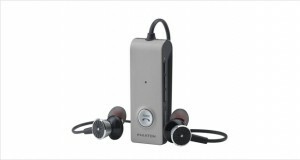 The fit ensures great noise reduction and these are comfortably placed in the noise reducing list of headphones. The performance of these earphones was out of this world with well-rounded sound quality and excellent noise reduction once a good fit was made. For the current street price of the Logitech Ultimate Ears 700 headphones, these are definitely one of the best pair of in ear monitors you would like to have in your roster of headphones. They make any kind of music really good to hear, and are heartily recommended by us.